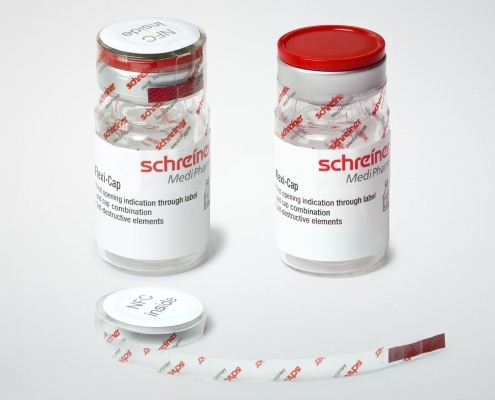 This is how the Flexi-Cap security concept works: First, a film cap with an integrated tear strip is pulled over the closed container. Subsequently, a label is applied without covering the starter tab of the tear strip. 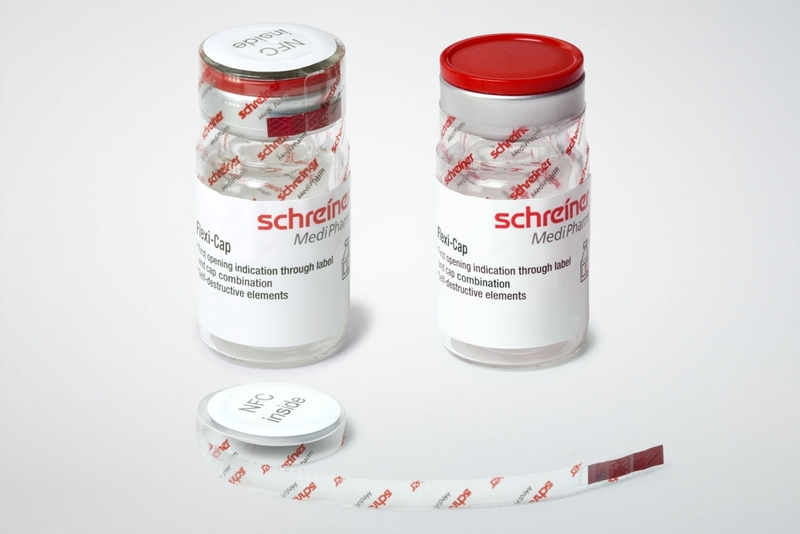 When the tear strip is opened, the bottom of the cap with the label remains on the container. When trying to remove the rest of the cap, the label will tear, clearly and irreversibly indicating first opening. Thus, undetected, illegal reuse of the primary container is precluded. 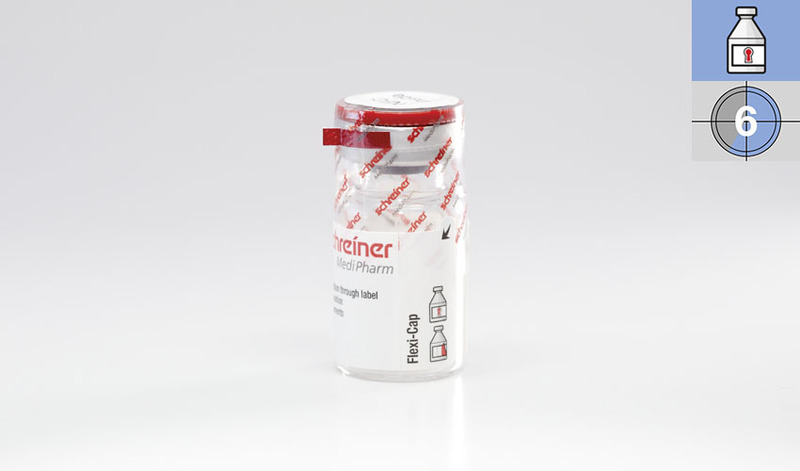 Schreiner MediPharm has developed Flexi-Cap as a security solution for primary containers enabling users to tell at first glance whether or not they are holding an unopened original medication in their hands. 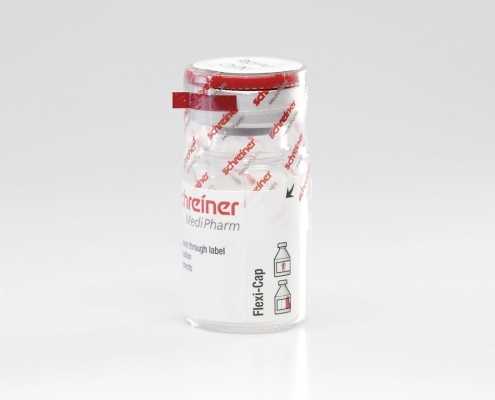 The intelligent cap-label combination can be flexibly customized to accommodate diverse containers, is applied without heat and thus suitable for temperature-sensitive medicines. For enhanced counterfeiting protection, further overt security features such as holograms, color-shifting inks and guilloches, covert features such as LaserSecure pigments or hidden void effects can be added to the label. 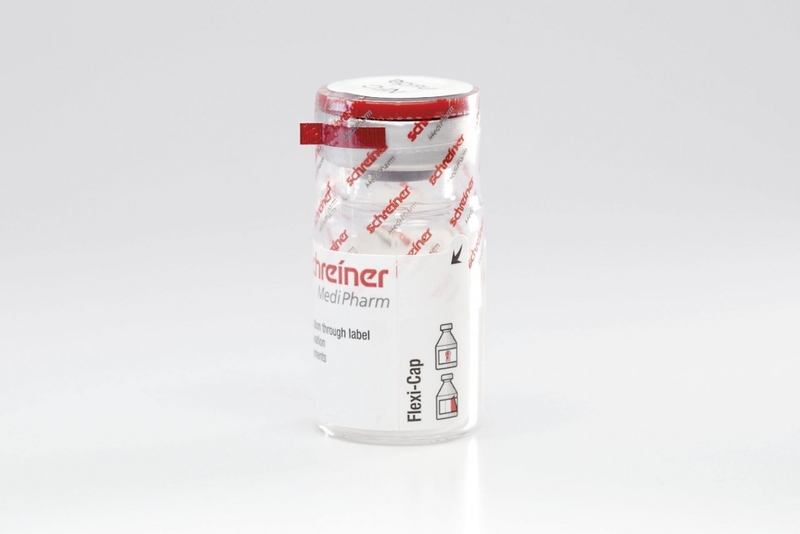 In addition, the lid of the cap offers ample space for imprinting with barcodes or the possibility of integrating an NFC chip for electronic tracking. Thus, Flexi-Cap offers innovative tamper protection, helps secure the supply chain and meets the requirements of the EU Directive – even for primary containers.